रेखा जी, ६ दर्जन सिनेमामा अभिनय गरिसक्नुभयो कत्तिको सन्तुष्ट हुनुहुन्छ ? अभिनय क्षमताले भन्दा पनि ग्ल्यामर भूमिकाले तपाईको स्थापित गराएको भन्ने आरोप लगाइन्छ नि ? तपाईको अनुभवमा चलचित्र सिर्जना हो कि ब्यपार ? अझै थुप्रै दर्शकको मन जित्न नेपाली सिनेमाले सकेको छैन । सिने उधोगको पल्लिलो स्थिती के छ ? यसको जिम्मेवार को त ? आफै लगानी गरेर सिनेमा बनाउनुभयो । नायिका बनेर यत्तिका कमाएर पनि पुगेन ? तपाईले 'हिम्मत' बनाउनु भयो । पछि तपाईको संग्लनता बिना नै 'हिम्मत-२' को निर्माण भयो नि ? आफ्नो सिनेमा अर्कैले बनाउँदा कुनै प्रतिबाद गर्नुभएन त ? तपाईको त थुप्रै नायक-नायिकासँग पनि मनमुटाब -बोलचाल बन्द) छ रे नि ? 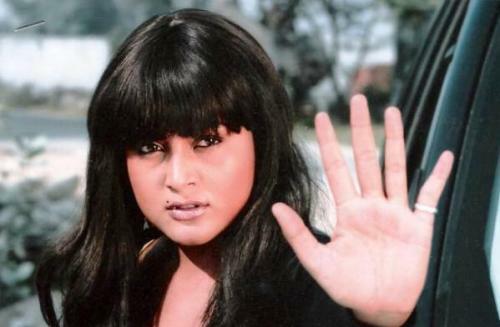 The Naya Patrika daily, known for its sensational reports, said that while shooting for Bhojpuri film, Hum Hai Hero Hindustani in Birgunj town in south Nepal, the 52-year-old actor, famous for his portrayal of a plotting, lascivious villain, had used a derogatory word about heroine Thapa and also tried to grab her hand. According to the report, the Bollywood actor asked Thapa during shooting if she had a bottle of Coke with her. When she said she was not sure, the actor reportedly used an abusive word and tried to grab her hand. When Thapa protested angrily and an altercation broke out between the two, another Indian actor who is also cast in the film, telestar Shahbaz Khan, reportedly tried to intervene. The tabloid said an outraged Thapa threatened to abandon the film but was mollified after Kapoor tendered an apology. Director Sanu Shakya said he was not aware of any such fracas. Thapa was not available for comment. Kapoor had already left for Mumbai on Tuesday, 33-year-old Shakya said. The director, who decided to rope in Kapoor for his third venture, that will be released as Mrityu Danda dubbed in Nepali, said there was no disruption in shooting. The producer of the film is Bettiyah-based Indian Shamim Khan and the crew is hoping for its release in another three months. 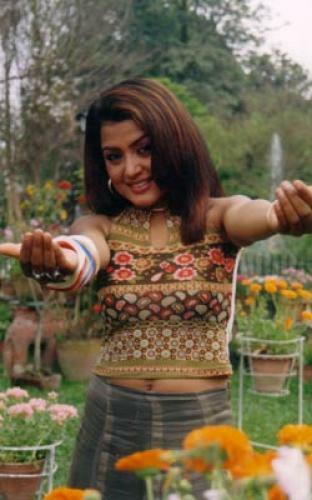 Kapoor plays an evil girl trafficker in the film that will project the message that there should be no discrimination between sons and daughters. Thapa plays Neha, a doctor who despite her qualification has to play second fiddle to her brother Shahbaz, who also becomes involved in Kapoor's nefarious business. What is alarming is the tabloid's attempt to inject into the incident - true or fictitious - India-Nepal tension. The report revives memories of the infamous Hrithik Roshan riots in Nepal eight years ago when Indians and Nepalis of Indian origin were targeted by looters over alleged anti-Nepal statements made by Bollywood star Hrithik Roshan. It was later found that the actor had made no such remarks.